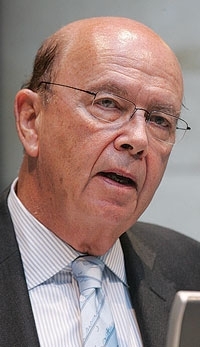 Wilbur Ross' IAC will nearly double sales in Asia by 2012. Automotive interiors giant International Automotive Components Group expects to nearly double its sales in Asia over the next three years. The mostly North American companies assembled into IAC by New York investor Wilbur Ross were relative latecomers to China and other Asian markets. But the region is now a driver of the company's growth. "We were a little behind, but we've been playing catch-up fast," said Jim Kamsickas, CEO of IAC North America and Asia. With automotive markets spurting in China and India, he predicts IAC's sales in Asia will grow from about $225 million this year to $425 million by 2012. Kamsickas predicts global IAC sales this year of about $4.5 billion. In 2006, IAC had just two plants in China and one automaker customer. Today, IAC has 14 locations in Asia, including three technical centers, and a dozen automaker customers, including Toyota, Honda, Shanghai Automotive Industry Corp., Nissan, Daimler, Mahindra and Volkswagen. IAC was formed primarily from the former North American and European interiors business of Lear Corp. and the defunct Collins & Aikman Corp. The company makes everything for a car interior except seats; its products include instrument panels, consoles, door panels, carpeting and acoustic materials. For the most part, IAC has used its expertise in parts and technical matters to grow internally in Asia by opening factories and technical centers. But one small acquisition in Asia has been vital to the company's rapid growth. Mitsuboshi Kaseihin Co., which has built interior parts since 1964, is one of Japan's few interiors makers not controlled by an automaker and therefore is able to sell to all Japanese customers. Sales in 2008 totaled about $175 million. Ross bought Mitsuboshi Kaseihin in late 2006. Kamsickas credits the addition with cementing relationships with Japanese carmakers and enhancing IAC's global reach.